Creativity isn’t a trait that only a lucky few are blessed with. Anyone who’s been successful in creative industries will tell you that it requires hard work and practise like any other skill. Even if creativity doesn’t come naturally to you, there are still plenty of changes you can make to spark your imagination. 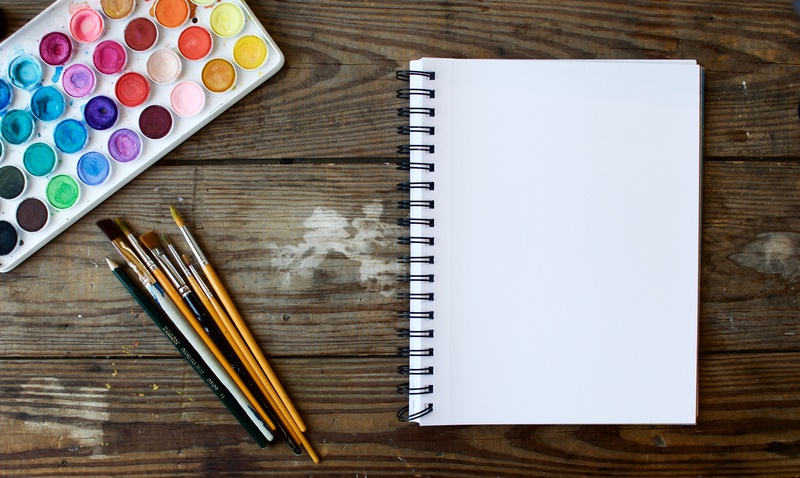 Here are 8 ways you can be more creative. Engaging with a variety of art forms is a great way to make you feel inspired. Introduce yourself to new ideas and concepts by reading more books, listening to different music genres and watching films you wouldn’t normally be interested in. You can also visit museums, galleries and libraries and take part in creative activities. Have you always wanted to play an instrument, start a blog, write a novel or learn how to draw? Now’s the time to stop making excuses and dedicate the time to doing one of those things. Learning a new craft will encourage you to leave your comfort zone and can give you a different perspective, both of which are useful when generating original ideas. Get into the habit of using a journal to scribble down ideas, or start a scrapbook for doodling and practising your sketches. Even if you don’t want to learn how to draw, doodling has many cognitive benefits and helps to clear your mind and come up with new ideas. You can’t expect to get anything done if you’re not working in the right environment. Try different locations to decide what works for you, whether it’s a café, a quiet spot in a library or your study at home. Once you’ve settled on a suitable environment, you need to ensure there’s nothing distracting you from being productive. Start by turning your phone off, logging out of your social media accounts and making sure you have everything you need with you. You can also try these 10 tips for avoiding distractions. Your best ideas probably won’t come to you straight away, so don’t be afraid to put all of the rubbish ones out there. Feeling embarrassed hinders your creative endeavours, so just go with the flow and enjoy yourself. Failure gives you the opportunity to learn and grow, and every successful person you can think of has been rejected at some point in their career. Infamous artists like Monet and Van Gogh were knocked back before people took their work seriously, so don’t be disheartened. You can pick up more tips and tricks by taking advice from creatives who work in different industries. Listen to creative podcasts, watch TED talks about creativity and read as many books and articles as you can. Can you recommend any tips on how to be more creative? Please feel free to share advice in the comments. Pingback: Are Left Handed People More Creative?